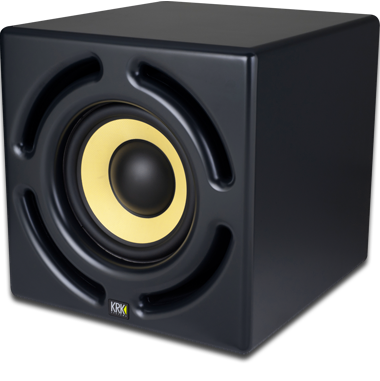 Large and powerful nearfield studio monitors require a subwoofer that can achieve high sound pressure levels—and KRK’s 12sHO is a powerful, sonically pure addition to any studio setup. Whether for stereo or surround formats, the 12sHO subwoofer reproduces low-frequency detail as well as the LFE channel’s demanding bass content. 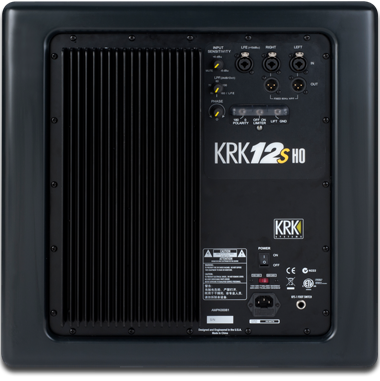 These challenging applications place demands far exceeding the capabilities of traditional low frequency drivers and power amplifiers, so KRK developed the 12sHO (HO for “High Output”) as the industry solution for all types of demanding mix situations. Mix with confidence. The bypass footswitch control allows you to quickly mute the sub and send full-range audio to your recording monitors. KRK Subwoofers feature reinforced MDF enclosures for maximum strength and durability. Never let a spilled beer or wild ninja roundhouse kick stop your mixing session again. We engineered the front port to provide low frequency extension while reducing boundary coupling. The unique shape is optimized to avoid port turbulence. Dedicated crossover and optional High-pass filter bypass means that our subwoofers are the perfect compliment to powered monitors. 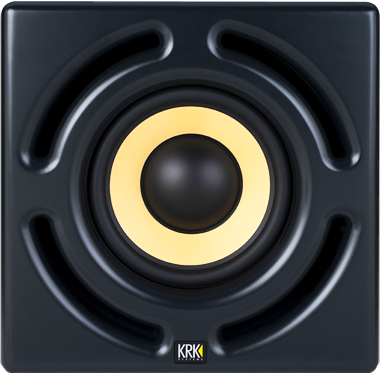 From mixing and mastering to sound design, broadcast and production work - KRK has you covered. 3-way midfield studio monitor with powerful tri-amped class a/b amplifier. 8" near-field studio monitor featuring a 230 watt bi-amped class d amplifer. The 12sHO will extend the low frequency range of any brand of monitors down to 29Hz in an accurate and effortless way and at any listening volume. I especially liked the lighted bypass footswitch jack and cable--a small thing but useful for some of my clients who are new to low frequency extension. I have used many other subs before but nothing like this one. If you use this sub with a great pair of monitors like the KRK ROKIT 8 or even the KRK VXT8 you will get the best sound system that you can have to mix with. It is truly the best sub you can have for your home studio. A well-designed collection of subs to cover most studio needs, with some useful features, decent, low-distortion volume output and good low-frequency response.